Myanmar on Saturday denied that there were five mass graves of Rohingya Muslims in a village in crisis-hit Rakhine state, saying that 19 “terrorists” had been killed and buried in the area. The Associated Press used testimony from dozens of Rohingya refugees and time-stamped cell phone videos to describe a massacre by soldiers and at least five previously unreported mass graves in Rakhine’s Gu Dar Pyin village. The Myanmar government’s Information Committee said in a statement posted on its Facebook page that a government inspection team had gone to the village to probe the AP report and found it to be false. “The inspection team systematically investigated the AP’s report on the Gu Dar Pyin village case, including interviewing villagers, and found it not to be true,” the statement said. The AP report, which AFP could not independently verify, described grisly violence at the hands of soldiers and Buddhist vigilantes, who allegedly attacked villagers with guns, knives, rocket launchers and grenades before dumping bodies into pits and dousing them with acid. Satellite images obtained by the AP show a village that has been completely wiped out, with villagers interviewed in refugee camps in Bangladesh claiming that up to 400 people could have been killed. 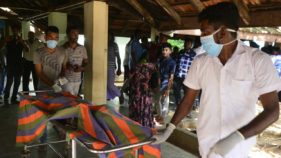 The Information Committee said there had been deadly clashes between security forces and Rohingya militants in the village on August 28 which left 19 “terrorists” dead. 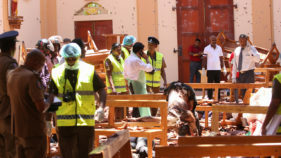 “Nineteen dead terrorists were found… the bodies were buried,” the statement said, without giving details on the location or nature of the graves. Myanmar troops are accused of waging an ethnic cleansing campaign against the Muslim minority, nearly 700,000 of whom have fled to Bangladesh since last August. The army staunchly denies the allegation, saying it is a proportionate crackdown on Rohingya rebels. It blocks media and UN investigators from independently visiting the conflict zone. The severe restrictions on media access imposed by Myanmar make it difficult to verify the flood of testimony gathered from Rohingya refugees in Bangladesh, whose stories have led the UN to accuse Myanmar troops of possible genocide. 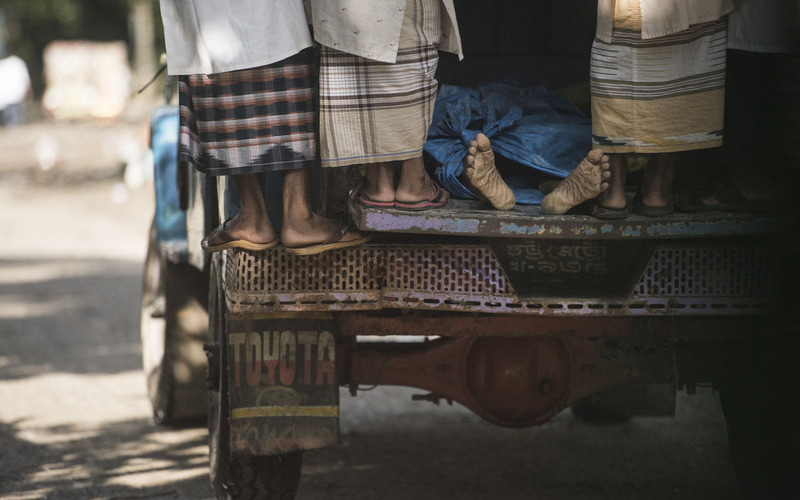 Based on a survey of refugees, Doctors Without Borders estimates that at least 6,700 Rohingya were killed in the first month of the military crackdown. The army has put the official death toll of the conflict at 400, including 376 Rohingya “terrorists”. Last month the army made a rare admission that four members of the security forces had helped kill 10 Rohingya militant suspects on September 2 and left their bodies in a hastily dug pit.Rights groups say that incident is the tip of the iceberg.